Natural waterfalls are beautiful reminders of how amazing our world is. Their power and structure are evidence of the mighty force and artistry of Mother Nature. Seeing one of these wonders up close is definitely a rewarding experience, and jumping or even just standing on top of one can give you a thrill and sense of freedom. Some of the most beautiful waterfalls in the Philippines are located in the province of Lanao del Norte. 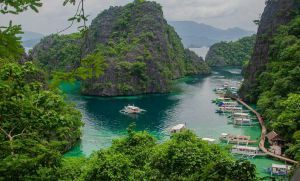 There are dozens of them scattered around the region, but some of the most majestic are found in the city of Iligan and the municipality of Kapatagan. Iligan is an urbanized city in Lanao del Norte, and is one of the largest cities in the Philippines according to land area. It is also known as the City of Majestic Waterfalls because it is home to approximately 24 falls. Maria Cristina Falls – This beauty is the primary source of electricity for Iligan and is a major landmark of the city. It is approximately 320 feet high, and is such a grand and beautiful water formation that you can’t help but stare in awe. At its brink, its flow is separated by a rock, thus giving it the nickname of “the twin falls”. Tinago Falls – Hidden in a deep ravine, finding this gem requires you to go down a ‘winding staircase’ with about 500 steps. This waterfall is about 240 feet high, and its powerful waters drop into a basin with clear blue water. You will definitely love taking pictures at this pretty location. 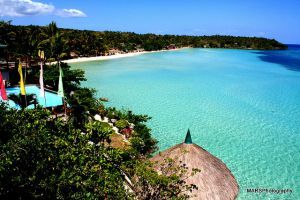 You can take a plane to Laguindingan International Airport, which is about 57 kilometers from Iligan. From there, you can take a taxi (if you’re okay paying quite a big fare rate), or ride a shuttle to the highway and wait for a bus headed to the city. There are also boats from Manila going to Ozamiz City which pass by the Iligan seaport. Kapatagan is about 33 kilometers away from the Tubod, the capital city of Lanao del Norte. It is gaining more tourism attention because of two of its most famous water formations. Cathedral Falls – You just might want to get down on your knees when you see this treasure, whether to worship its beauty or to get the best shot for your photo souvenir. Whatever the reason is, people will understand why you might feel compelled to pay homage to the cascading waters that are surrounded by a rock wall formation that looks like a giant pipe organ. 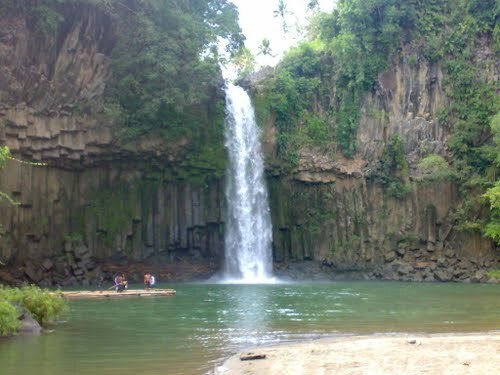 Santa Cruz Falls – Some like to call this natural wonder as the Niagara Falls of Mindanao. Getting to this block waterfall requires a one-hour or so trek, but arriving at the basin of this beauty will wash away the sweat and stress. From Iligan City, you can take a shuttle van to Kapatagan. The trip takes about 2 hours. These are just a few of the many majestic waterfalls that are waiting for you in Lanao del Norte. So don’t waste another second and start planning how you can visit them all.